Specially created for The Crest and The Ridge magazines by the team at Hendrick’s Gin, this is perfect for those seemingly implacable balmy summer days. 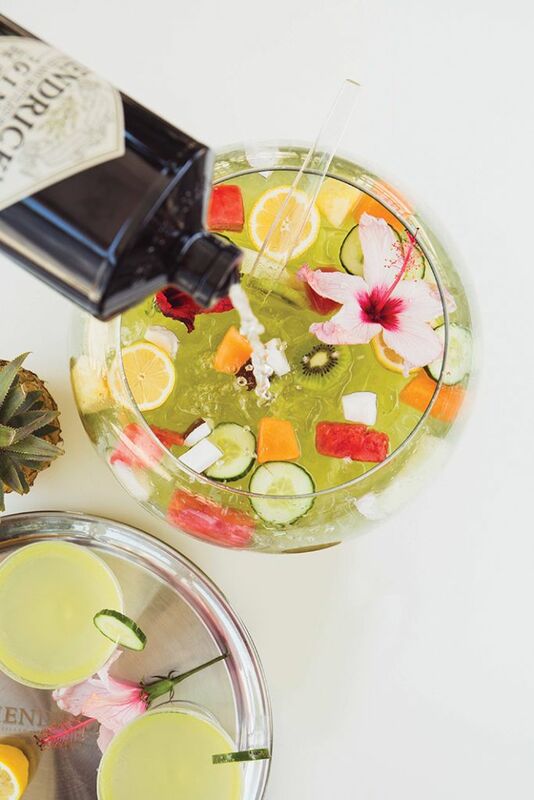 A practical way to idly spend an afternoon would be to savour each sip of this Hendrick’s Gin Summer Punch – a punch that is not only refreshing on the taste buds, but which also joyfully exploits our fresh vegetation, including fruit, vegetables, herbs and even flora. Over the festive season, this light and fruity Hendrick’s Gin punch will offer you and your guests a welcome reprise from both heat and boredom. Click here to see how SA’s Hendrick’s Gin mixologist, Marson Strydom, constructs this marvellous punch. But if you’re a more adventurous appreciator of gin and want to try your hand at mastering the art of one of the finer lessons in life, then we’ve included the recipe below. Make, pour, sip and enjoy … but, please, always relish the smooth taste of Hendrick’s Gin responsibly. To make: Mix everything (except the hibiscus flowers) into a punch bowl and stir well. Dilute with 1 scoop of ice when mixing. Chill in a fridge. Stir well. Add another scoop of ice when serving to keep it cold. To garnish, float hibiscus flowers on the surface of the punch. To serve: Best served in an unusual manner, such as in a tea cup. In tea cups, this recipe serves about 12 to 15 people (or four serious gin lovers). 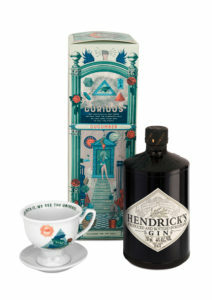 Treat: Experience our signature Hendrick’s Gin cocktails served in a unique Hendrick’s Gin tea set paired with a mini sweet and savoury high tea platter. Served daily, 4-6pm for R250 (serves two) at The Oyster Box Hotel. Find out more at www.hendricksgin.com or follow @hendricksginsouthafrica on Facebook.